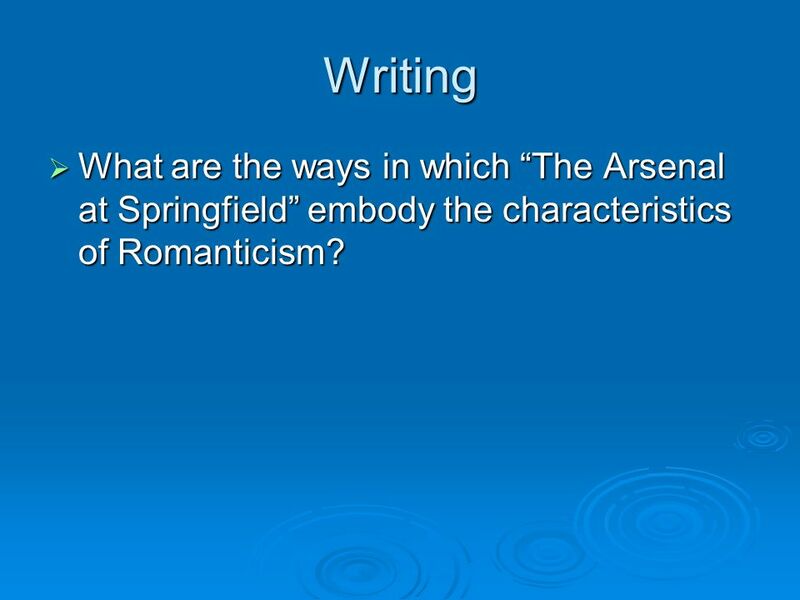 6 Writing What are the ways in which “The Arsenal at Springfield” embody the characteristics of Romanticism? 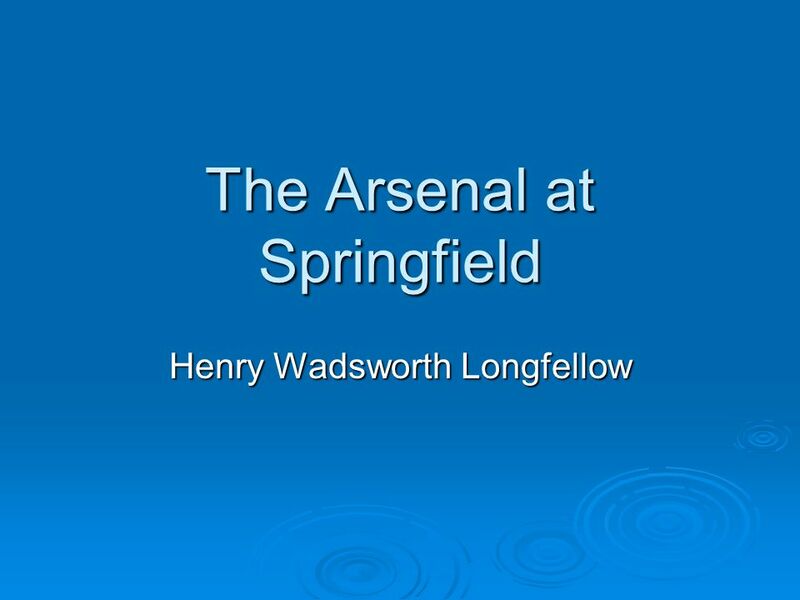 Download ppt "The Arsenal at Springfield"
Jeopardy Q 1 Q 2 Q 3 Q 4 Q 5 Q 6Q 16Q 11Q 21 Q 7Q 12Q 17Q 22 Q 8Q 13Q 18 Q 23 Q 9 Q 14Q 19Q 24 Q 10Q 15Q 20Q 25 Final Jeopardy Literature Terms III. 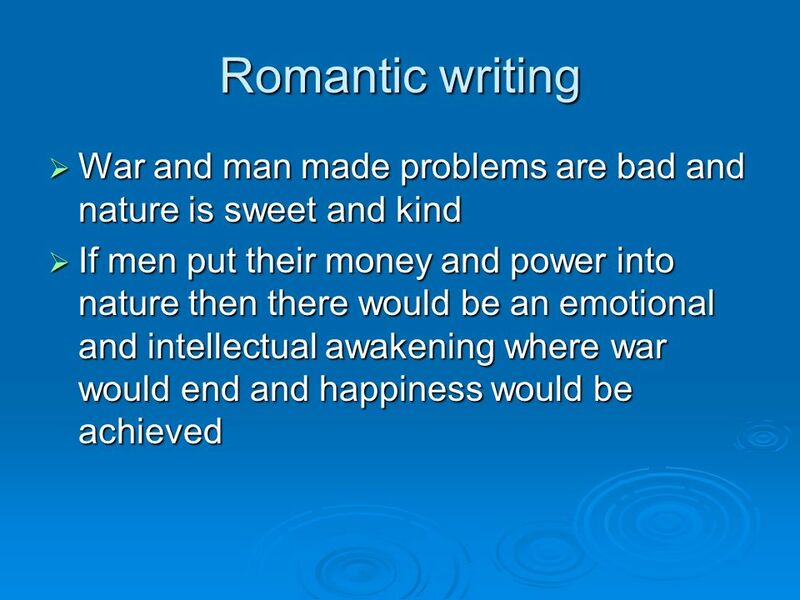 Poetry Analysis. 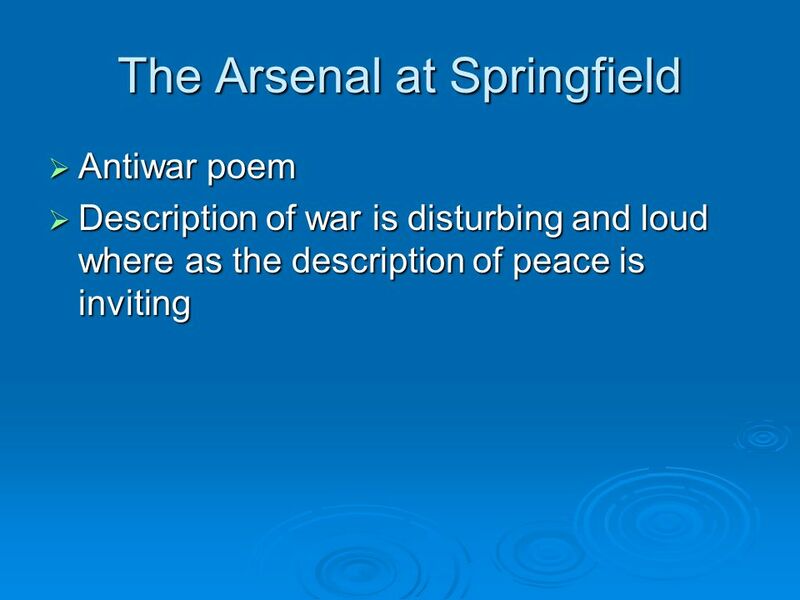 * Ponder (think about) what you think the poem is about just from reading the title. Rhetorical and Literary Devices September 11, st Period Literary Terms. By Robert Frost.  Alliteration: Repeating a consonant sound, usually at the beginning of the word. From “The Collected Later Poems” (1950). Thesis: William Carlos Williams communicates a sailor’s anger as he is on a boat in a storm. The Romantic Period occurred during what time period? Answer: late 1700s to early 1800s 1. 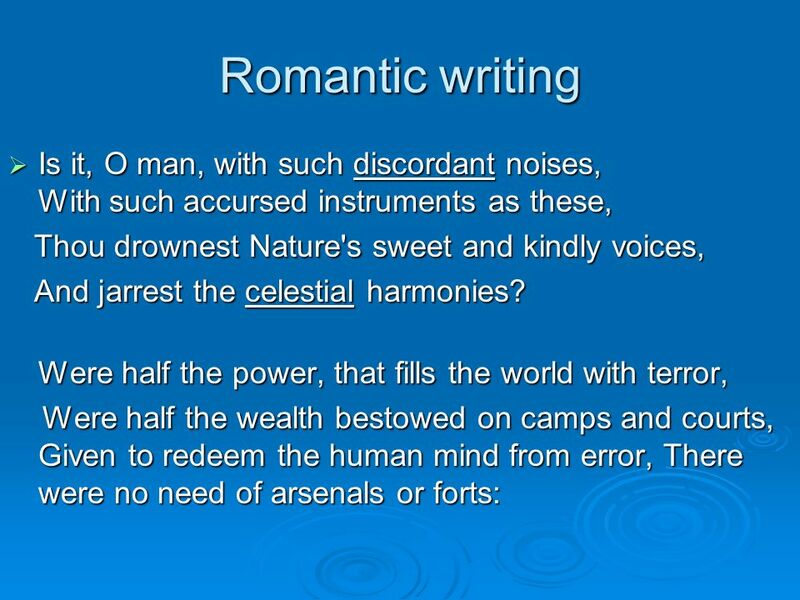 Humanities 8 What is Poetry? 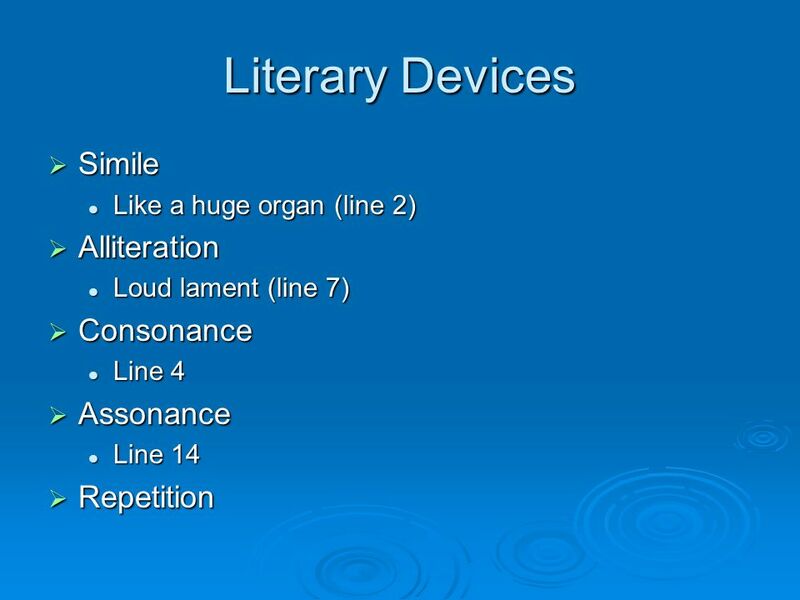 LEARNING INTENTION: TO LEARN SOUND DEVICES IN POETRY AND BE ABLE TO IDENTIFY THEM Poetry: Sound Devices. Sound Devices. What is a sound device? 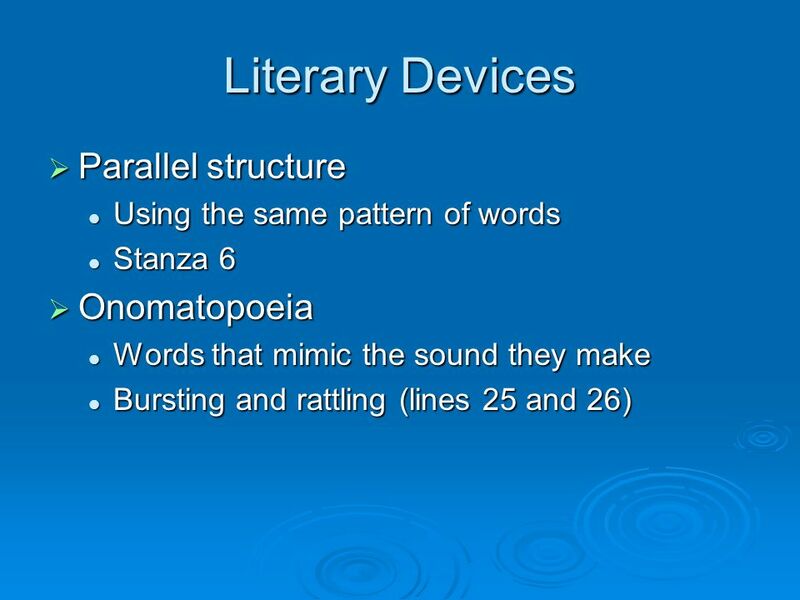 A literary device used to convey meaning through sound. Literary Movement. 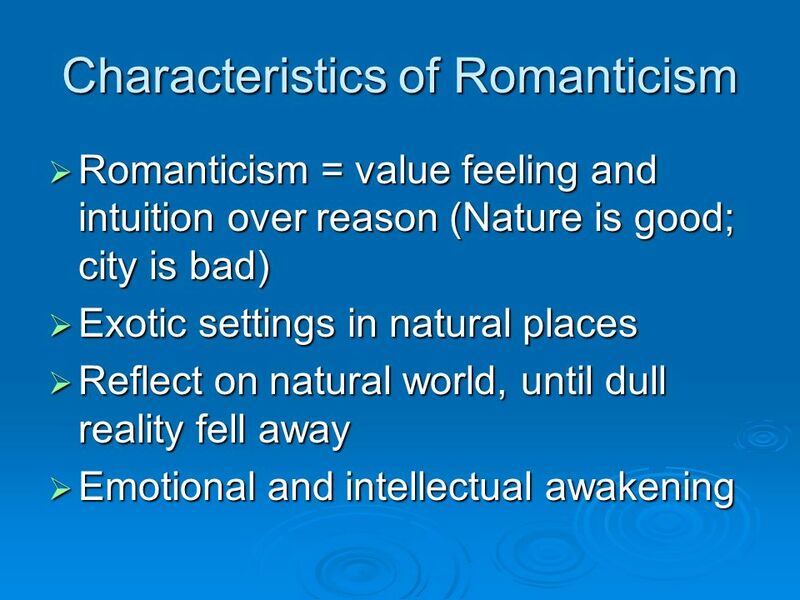  : Rationalism/ Age of Reason  : Romanticism  : Realism. Poetry Review. 0 The use of any elements of language more than once.